Here is a cute vintage Valentine with an illustration of a boy in overalls and a straw hat with an old fashioned message: Gee! 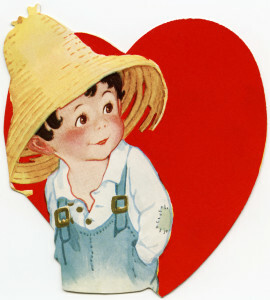 Can’t a feller have a Valentine? For additional creative options, here is a version without the words. Click on images to enlarge. Oh my goodness so adorable! Yay! Thanks for sharing. Will be linking up. Huge hugs!! I’m delighted that you like it Anna and Su ~ and thank you kindly for the link up Su. 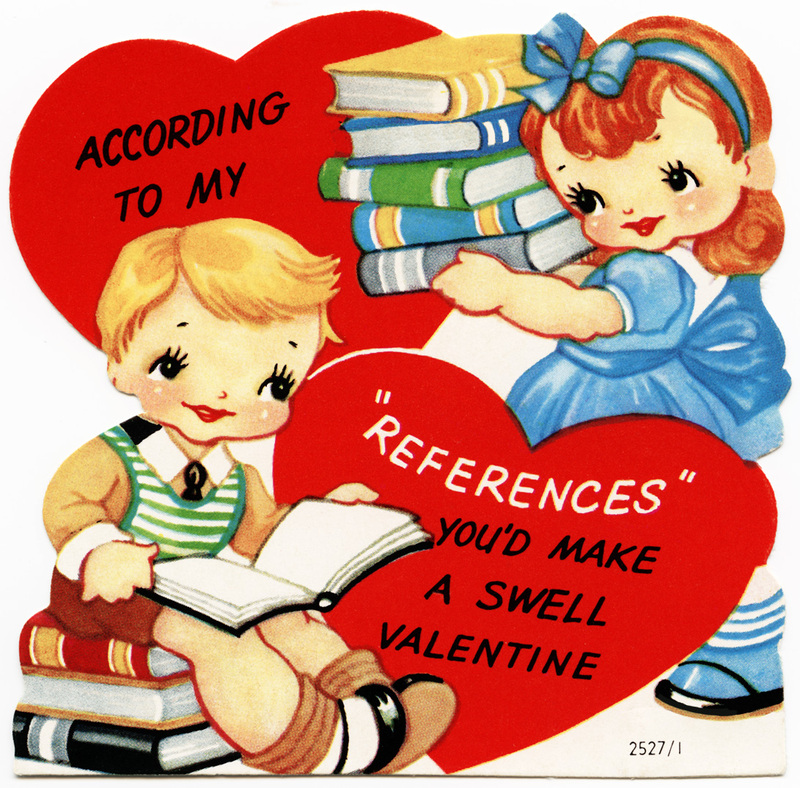 I’m looking for a vintage valentine to copy for an illustration I’m doing for a small magazine. I’m not sure what the copyright is on your images. Can i download it and use it? This image is in the public domain and you are welcome to use it in your magazine.